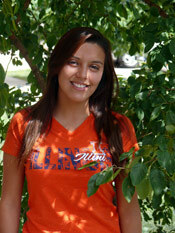 Esmeralda Rosales is a senior in the Department of Kinesiology and Community Health. What are your general impressions of your studies and KCH as a whole? KCH really prepares you for any medical-related field. Not only does it provide a good understanding of the basic sciences, but it also provides good information of other relevant topics that help you become a well-rounded individual. Volunteering abroad has been the most valuable and interesting experience for me. Last summer, I traveled to Peru and volunteered at local hospitals and within the community. It was an amazing experience from which I gained a lot of valuable skills. I am currently in the process of applying to medical schools. I have always wanted to become a doctor, but knowing how valuable a background in community health is, I also want to pursue a Master of Public Health degree and eventually a PhD. What extracurricular activities and student organizations are you involved with? I am President of Latinos in Pre-Health, an I-LEAP Scholar/Mentor, and a chemistry and biology tutor at the Office of Minority Student Affairs. I also volunteer at Provena Covenant Hospital, do independent research, and am a primary handler for a service dog in training through the Illini Service Dog Program. I enjoy being outdoors and being active. I love bike rides, going on long runs, and taking Oskee (my service dog in training) on walks. Why would you recommend KCH to others? I would recommend the Department of Kinesiology and Community Health because it is a program that gives you all of the necessary tools to succeed in the healthcare world. The jobs that you can get with a degree in this field are endless!